Many dental problems can develop unnoticed without x-rays, so they are an essential part of a check-up. 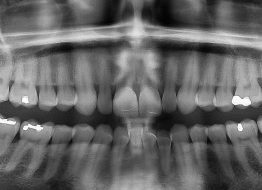 Modern dental x-rays are extremely safe and only taken when necessary. To improve accuracy and safety, DentalPlus uses low-dosage digital technology for all x-ray imaging.